Meteogadget is a gadget to display the current weather from HomeWeather. 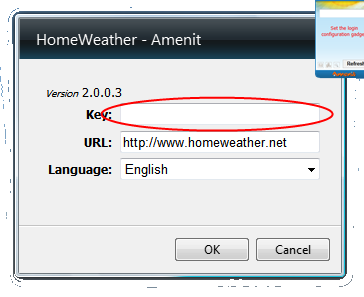 Displayed data (sensors) are user adjustable in HomeWeather own profile..
Actual version is 2.0.0.4 (released 24.2.2011). Installation is standard as all other windows gadgets. 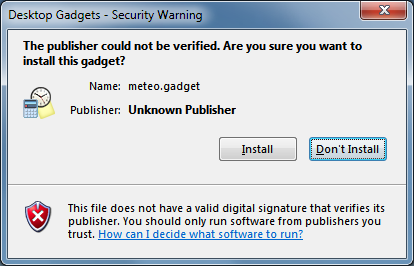 Just download the zip file meteo.gadget, extract it anywhere on the disk and then run the file "meteo.gadget". At this moment, the gadget is ready for viewing data, missing only set the logininformation you get on your own profile MeteoWebu. 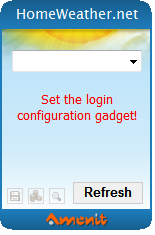 ... and on the picture below you can see where you must enter your security key for accessto their own views. 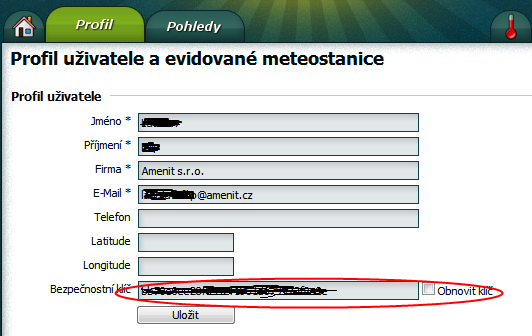 Security Key, click the settings of your profile. If the key is not visible, so just check the "Renew key" and save the profile. Will then be generated your new key that you canpaste into HomeWeather. For a proper run MeteoGadget must configure their own views on the measured data.To suggest how to do this.